Well you wouldn’t believe it but last Friday (16th September) I had a day out of the office. I was confident that too much damage couldn’t be done in the space of one days absence, and so decided I would go and supervise David (one of our sales team) to ensure that my food was being well represented at the Darlington Dog show. I was slightly worried when the rain started as soon as the engine turned off, but luckily it was only a light shower and soon passed – although the sun didn’t make a massive appearance at all! David was easy to spot with his massive branded gazebo, a lot easier to find than the entrance (yes I did walk with purpose in the completely wrong direction, until a lovely Scottish lady pointed out my error) And I was pleased to see that he had opened up packets of treats and food so people could ‘try before they buy’. I was pointing out to David that it wasn’t fair that just because I knew how good my food is I couldn’t try, when my attention was taken by a big brown dog wearing a bright orange fishnet scarf! 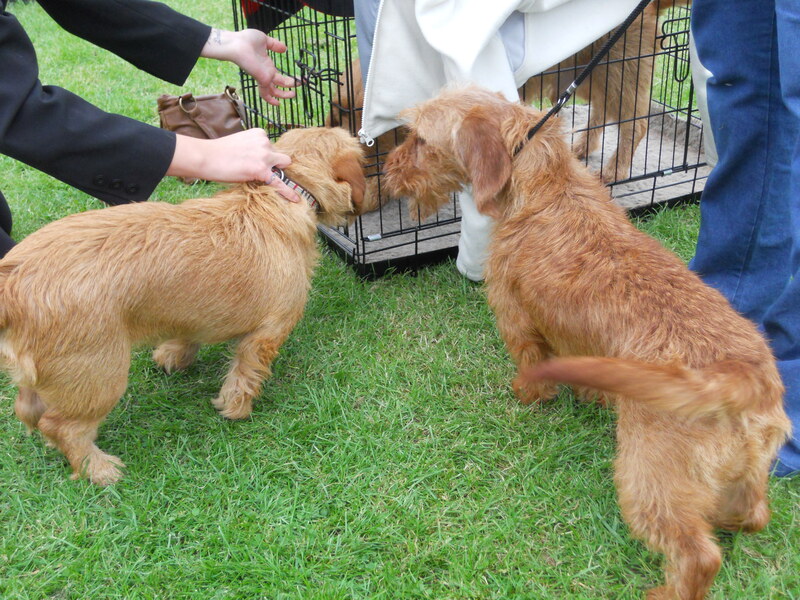 That’s when I really looked around properly for the first time and I have never seen so many dogs together in my life – they were all different shapes, sizes and colours. Some were part of massive packs, others were on their own, some walking nicely on leads (a lot better than I walk on mine) and some were being pushed around on little carts. The owners were all dressed in the Sunday best and I noticed that the dogs all looked rather spiffing too! There were lots of different rings with things going on so I left David with strict instructions on how to behave and went for a closer inspection. I did a quick once around all the stalls (mine was clearly the best!) 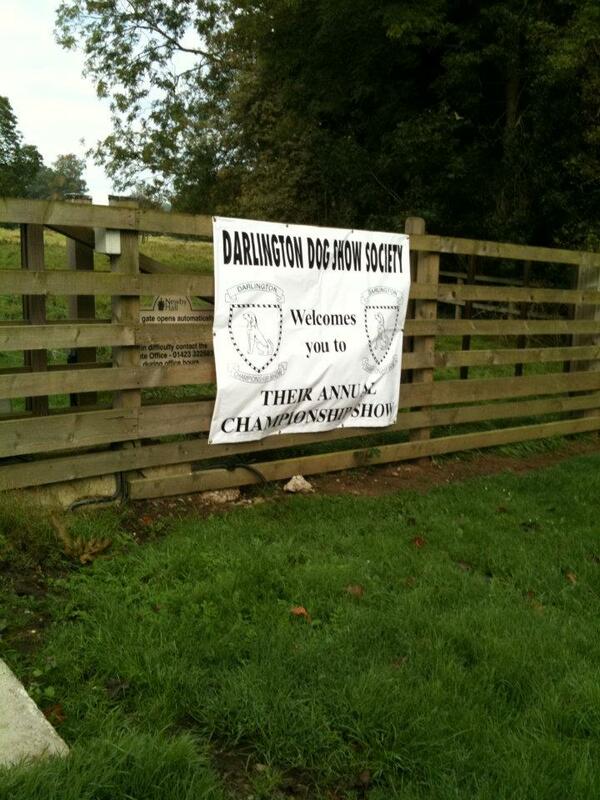 before turning my attentions to the dogs being judged and you will never believe what I saw…. They were me’s, lots and lots of me dogs! Well I had to stand and watch, it was so exciting and I even got to say hello to a few of the winners up close and personal! 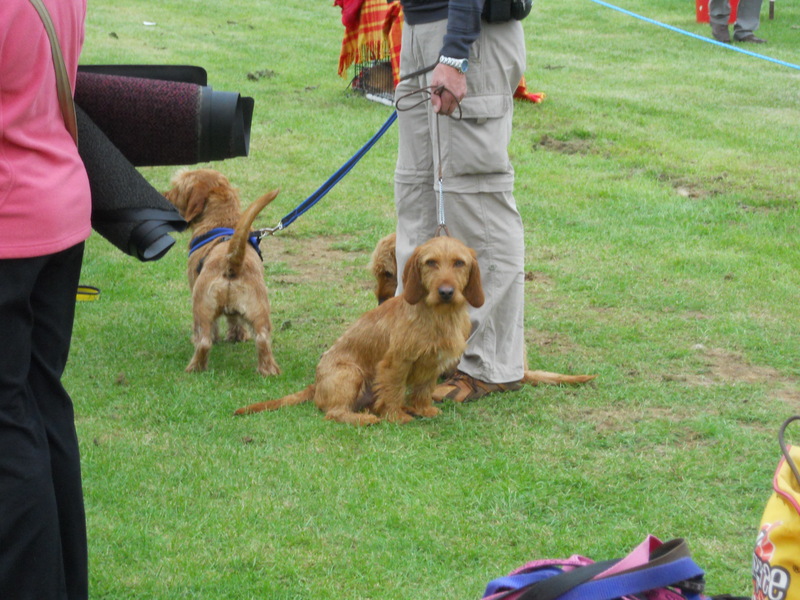 After they had finished the Bassett Fauve de Bretagne puppy class I thought it was time I headed back to the stand and supervised David some more. I had such a lovely day and got to make lots of new doggie friends, I also managed to carry out a full assessment of David and he does an OK job so look out for him at future shows.